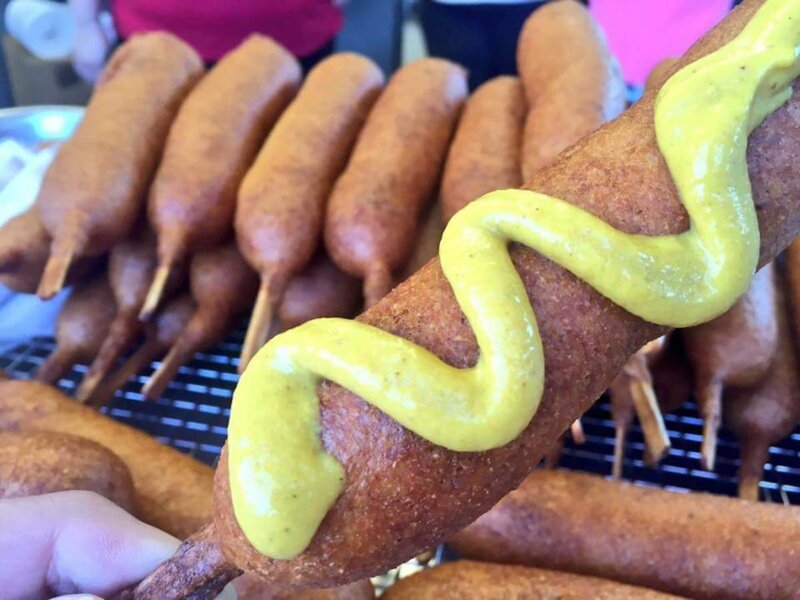 The most famous food vendor at the State Fair of Texas is marking a major milestone in a very big Dallas way. 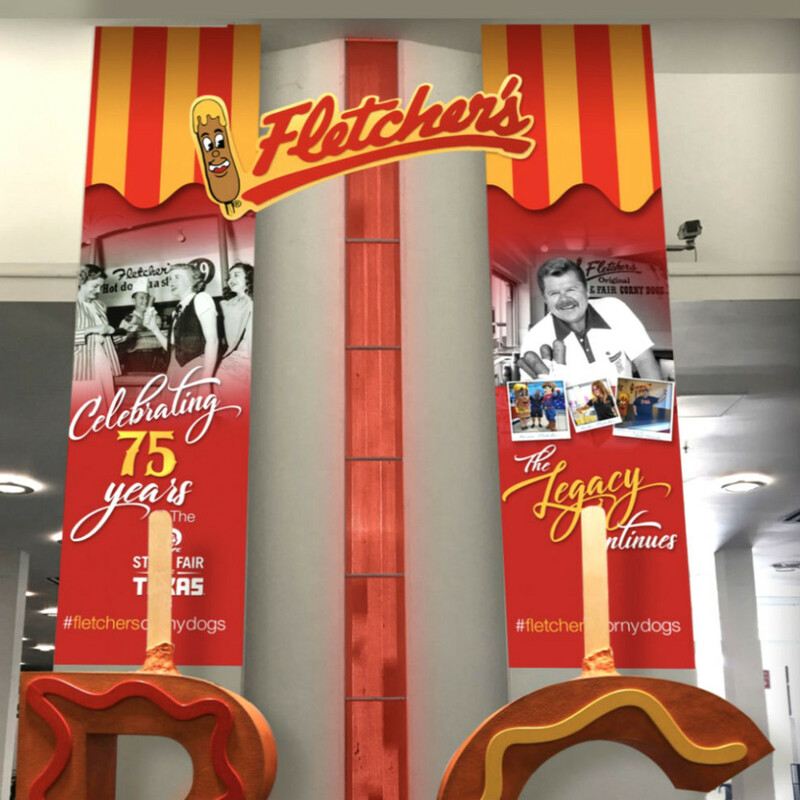 For 2017, Fletcher's Original Corny Dogs, maker of the trademark hot dog enclosed in a cornmeal crust, celebrates its 75th anniversary with a multi-media interactive exhibit that includes an 18-foot-tall mural and a corny dog-themed rendition of the city's #DallasBIG campaign. Proprietor GiGi Fletcher and her daughter Amber Fletcher worked on the memorial with The Trade Group, an agency based in Carrollton, to design a mural that will hang in the Tower Building at Fair Park, commemorating Fletcher's history with the State Fair and paying tribute to Neil Fletcher Sr, and GiGi's husband, Neil Jr, aka "Skip," who died in January 2017. "This will be a difficult year without my Skipper but he was so excited about this 75-year milestone, we were determined to make it the best fair yet," GiGi says. 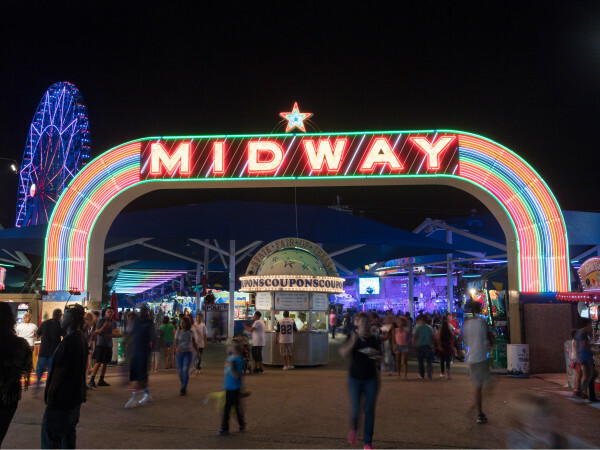 The mural portion, which will be open to the public when the State Fair opens on September 29, features a collage of photos and a timeline of key dates in Fletcher's history. Mother and daughter worked together, sifting through newspaper clippings and family photos. "I gathered photos from the computer or from what we had at the house," Amber says. "I went through hundreds to find the best ones, that tell what we are: That we're a family business and cherish our sense of community." 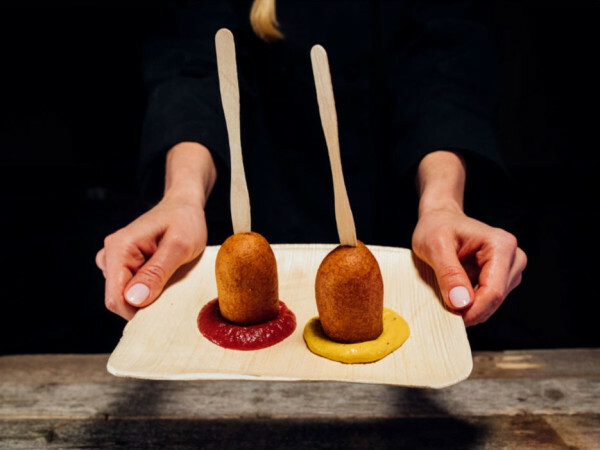 They span the entire history, dating back to a black-and-white photo of the first stand, to a shot of the retro concession booth they introduced in 2016, to one that Amber shot herself. 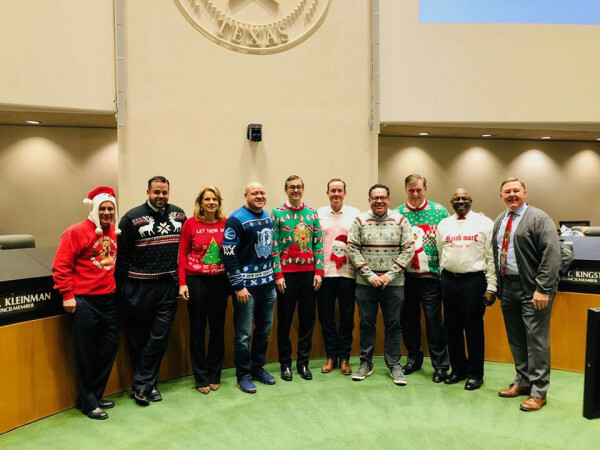 "There was one I snapped at a City Council dinner of Skip on a golf cart with the Big Tex mascot that ended up being one of our favorite photos," she says. 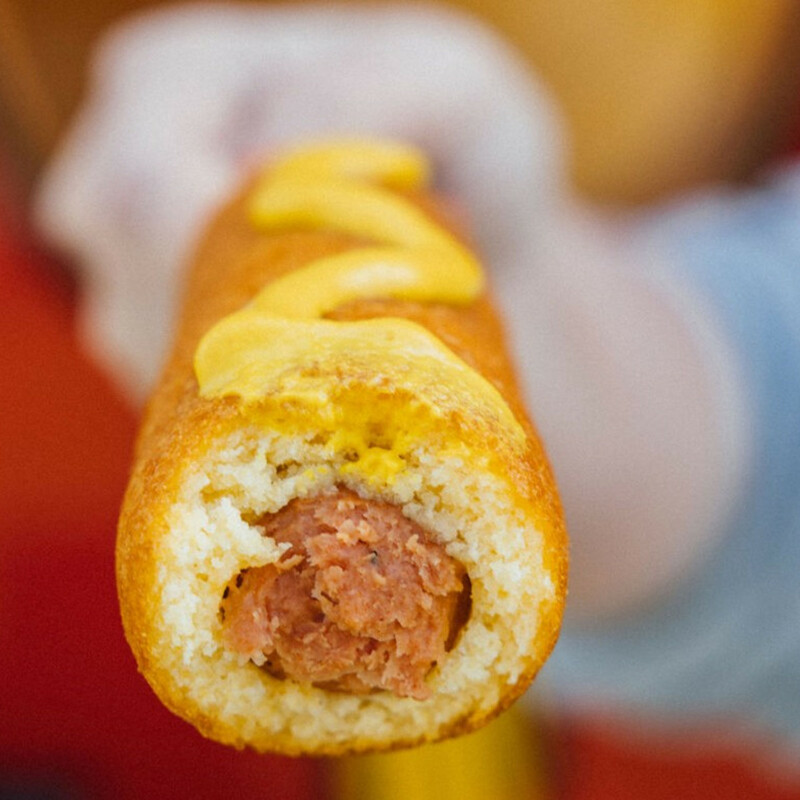 The timeline begins in 1942 with their first year, to 1988 when Skip and his brother Bill took over the stand from Neil Sr, to 2004 when they introduced their first corny dog spinoff. 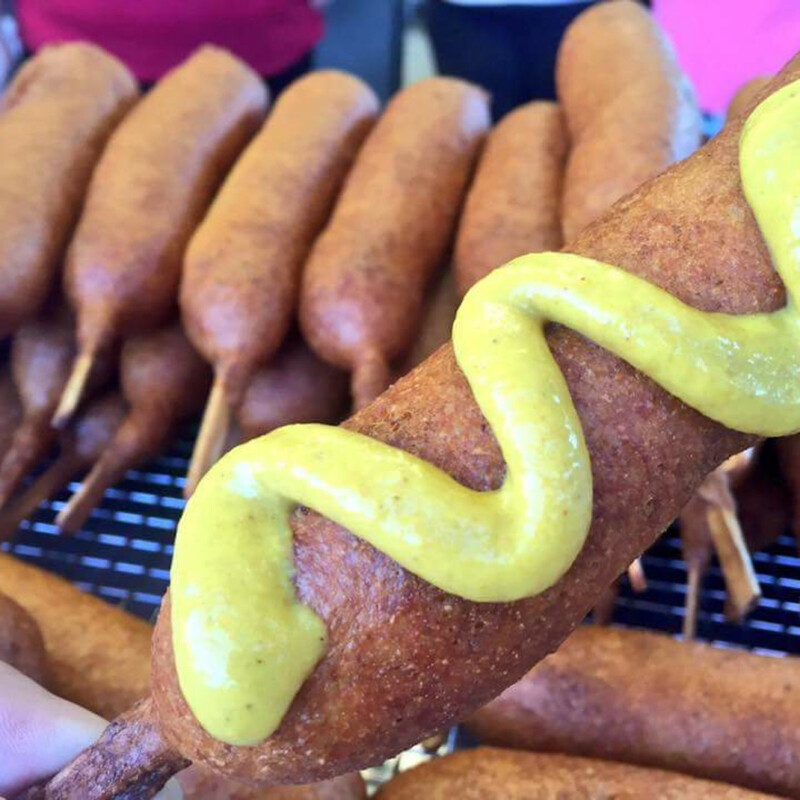 "For 67 years, there was only one corny dog," Amber says. 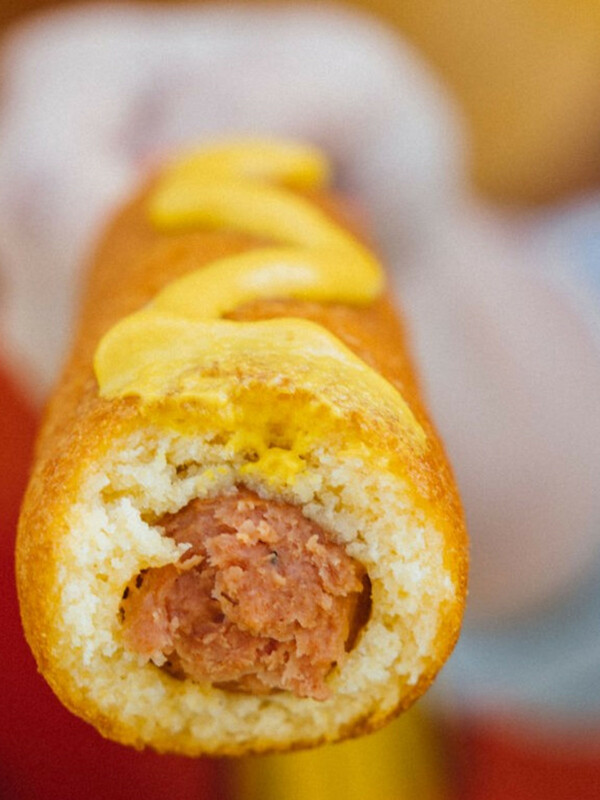 "We introduced the jalapeño cheese corny dog in 2004, and now we have four total, with the turkey dog and the veggie dog, which was introduced in 2015 and has done so well." 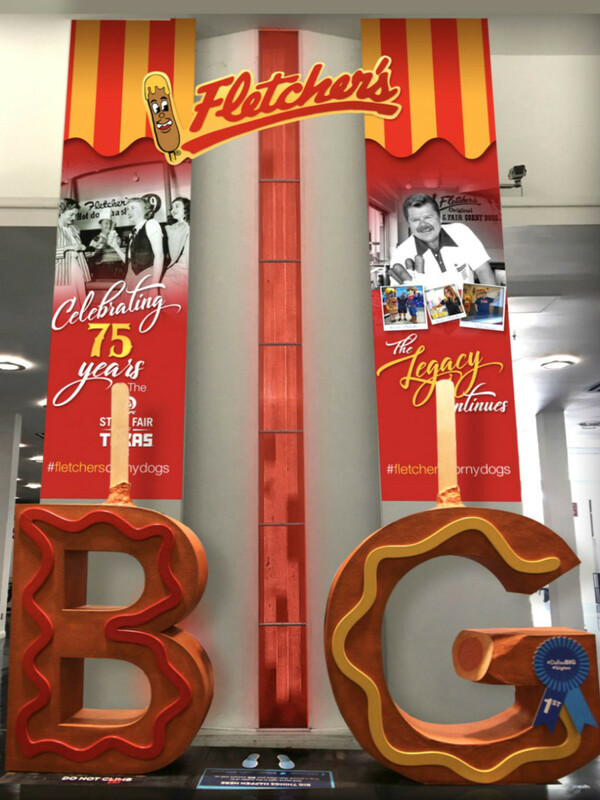 The other part of their exhibit consists of the big "B" and "G" letters, with a space in the middle for visitors to pose for photos, that are part of VisitDallas' B&G campaign. Fletcher's B and G letters are cleverly decorated to look like they're made of a hot dog, with squiggles of ketchup and mustard. They stand in front of a Fletcher's backdrop that includes a photo of Skip. "Neil Senior said, 'There's a hundred ways to screw up a corny dog — corny dogs are simple but they ain't easy,'" GiGi recalls. "That was in 1942. We are celebrating 75 years so I guess we haven't screwed them up too badly."